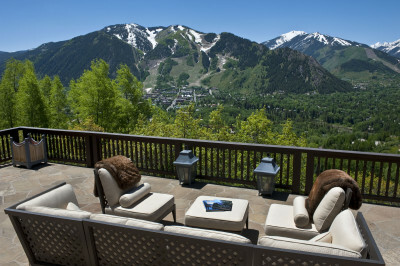 The top 10 home sales in Aspen in 2012 ranged in price from $14 million to $49 million. 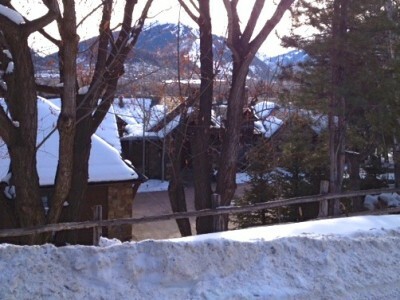 Most came with a view of Aspen Mountain. Sales of ultra-high-end homes in the Aspen area slowed down in 2012 compared to the prior near-record year, but not by much. And part of the reason could be a trend that will likely become even more apparent this year — a dearth of new properties on the market for the world’s wealthiest would-be buyers. Eighteen residential properties in the upper Roaring Fork Valley changed hands for more than $10 million last year, compared to 22 in 2011. But what started out as a significantly slower year for high-end sales ended with a significant uptick — two-thirds of the $10 million-plus sales occurred in the second half of 2012, five in the latter half of December alone. 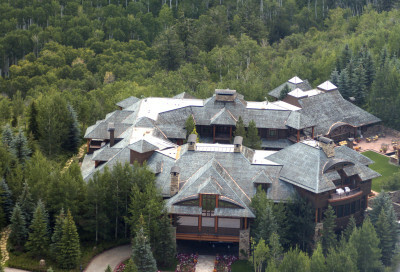 Sales over $10 million ranged from a $10.47 million, five-bedroom home on the Roaring Fork River off Cemetery Lane to the 130-acre Starwood estate (including a 56,000-square-foot home) that Saudi Prince Bandar sold to hedge fund titan John Paulson for $49 million. 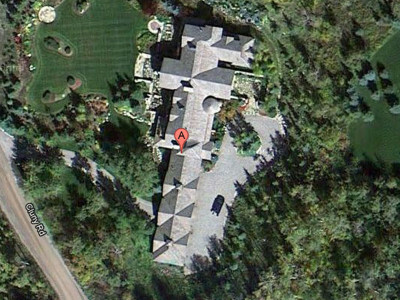 The priciest sale of 2011 was $20.75 million, for two adjoining Red Mountain properties. 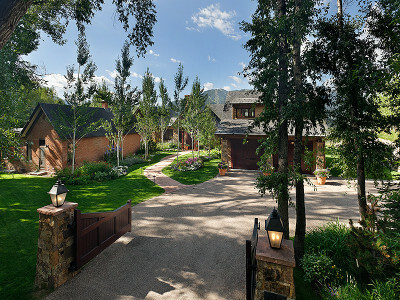 The same price — reflecting the year’s third-most expensive sale — was paid in December 2012 for a 2.5-acre property with an 11,500-square-foot home east of Aspen near the Aspen Club. 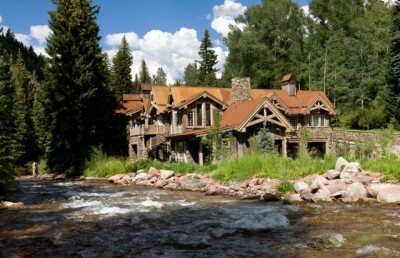 The 10 highest-dollar sales of 2012 were mostly outside of Aspen proper, but close. 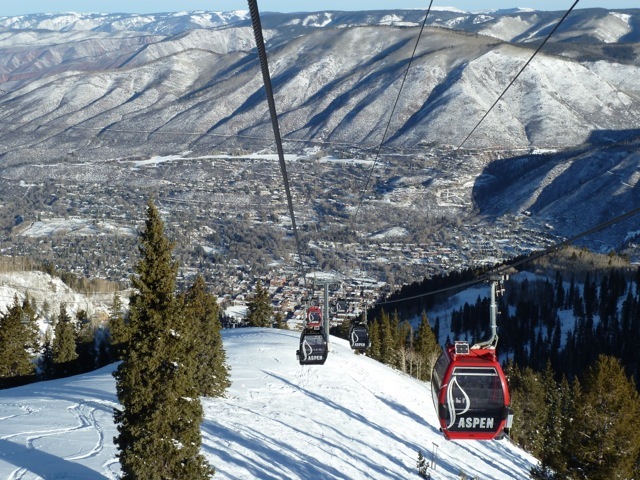 Half were on Red Mountain — which is in unincorporated Pitkin County — with others east and west of Aspen, one off Owl Creek Road between Aspen and Snowmass Village, one on McLain Flats, and the second-priciest (at $21 million) near Aspen Highlands. Though they are few in number, sales of properties above $10 million continue to be significant for the local market for a couple of reasons, according to Andrew Ernemann, a broker with BJ Adams and Company who analyzes such data. Prior to 2011, Ernemann found that sales over $10 million accounted for about 10 percent of total single-family home sales in the Aspen area. “So what the last two years have shown is that that segment of the market is one of its leaders, and in many ways is responsible for the fact that the Aspen market is past recovery, a normally functioning market with upward pressure on prices,” Ernemann said. Further market momentum can be gained from the attention such high-end sales get, especially when publications such as Forbes and the Wall Street Journal pick up the news and bring such attention to a wider audience, Ernemann explained. The perception, whether true or not, is that Aspen’s market is strong, which could influence sellers to be more firm in their negotiations and could influence buyers to get into the market before prices go up more. The list of buyers of the 10 most expensive homes of 2012 seems to reflect the American success story. Several are self-made millionaires or billionaires and founders of their own entrepreneurial endeavors. A couple are big shots in the finance world; a couple are the second-generation chiefs of their family companies. And two remain a mystery, as public documents related to their transactions don’t reveal their identities. Of the sellers, at least two bought other Aspen-area properties in 2012 that were less expensive than the ones they sold, but still above $10 million. Two still own property locally, and two are locals in the building industry. 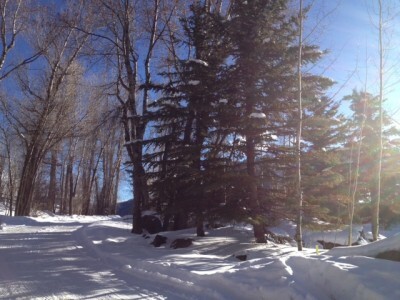 At least five of the eight known buyers have purchased other homes in Aspen before this year. 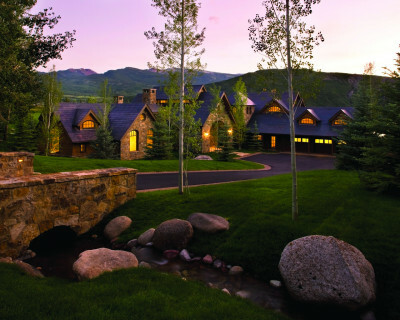 The fact that many buyers and sellers already have experience in the local real estate market is no surprise to Craig Morris, who brokered four of the top 10 sales and whose firm, Aspen Snowmass Sotheby’s, was involved in seven of them. Morris’ analysis showed that over the last several years, more than 40 percent of single-family home transactions involved people who are simply moving within the Aspen market, “so when they sell it doesn’t necessarily mean they are leaving,” he said. Broker Carrie Wells found that the high-end sales she’s been involved with include several newcomers to the Aspen area, as well as those who intend to live here full time. Many also have second or third homes in other vacation-home communities such as the Hamptons and Palm Beach, Wells said. “I think we will continue to see this ongoing trend of people who can live anywhere in the world but want to be in Aspen,” she said. Aside from the Prince Bandar/John Paulson sale, perhaps the most notable high-end transaction of 2012 occurred between Limited Brands founder Leslie Wexner and one of his marketing executives. Wexner, a billionaire who has frequently been in the local news for his controversial downvalley land swap, built a home near his Red Mountain estate, which he sold in August to 10 Miles High LLC, an entity controlled by Edward Razek. As chief marketing officer for Victoria’s Secret, a Limited company, Razek is in charge of choosing the Victoria’s Secret models. The former home of the late financier Ted Forstmann changed hands in 2012, also in August, but stayed within the New York-based finance world. Barry Friedberg, a former top executive at Merrill Lynch, sold the home he had bought in 2006 to the CEO of Delphi Financial Group, Robert Rosenkranz (through his RR Aspen LLC) for $17.25 million. Three of the 10 priciest sales of 2012 were homes built since 2008, when the spec market all but vanished with the downturn of the economy and the tough lending climate of the last few years. Of 13 properties in the $10 million-plus price range listed as being on the market in the MLS (Multiple Listing Service) that were built in the last five years, three are scheduled to close in January, leaving just 10 near-new, high-end estates to choose from. Local brokers agree that the dwindling supply of new, high-end properties affected market activity in 2012 and will continue to do so in 2013. And with “more of those properties selling than are coming on the market, it’s starting to work in favor of the seller,” Morris added. That jives with Ernemann’s analysis, which showed that discounts for upper-tier properties have fallen. In 2011, the average discount from the asking price (the price at the time the property was put under contract) to closing price was 17.9 percent. In 2012 it fell to 13.7 percent. Other brokers involved in high-end sales agree that prices in the upper categories will likely continue to trend upward, or at least see smaller discounts. “I think the trend going forward is what’s new in an A location in the upper tier, and that’s going to be in demand,” said Carrie Wells of Coldwell Banker Mason Morse, who pointed out that most buyers are very particular about location, whether it’s near town or on the water or large acreage. Those criteria even further diminish the selection of properties for a particular buyer. Broker Marc Friedberg of Joshua and Co. noted that the value of many properties that don’t have newer homes is in the land. Vacant lot sales surged in 2012 in the upper valley, according to an analysis by broker Tim Estin. Land value was notably reflected in the sixth most expensive sale of 2012. Charles Lott sold his 2.3-acre property on lower Red Mountain for $15.5 million. Though it’s a large lot, brokers agree that the price was high for a property with a four-bedroom, teardown home built in the 1960s. But some brokers say that declining newer inventory might not be such a big issue. An incentive clearly exists now to build high-end homes, and for potential sellers to put newer properties on the market. According to Ernemann, there are still 44 active listings over $10 million in the Aspen area, plus 20 or so in Snowmass — a roughly three-year inventory that should offer a wide range of choice. The upper end of the market “is a bit of its own market,” said broker Scott Davidson of Aspen Associates, and because it’s the free market, it will find a way to sort itself out. PROPERTY: Star Ranch in Starwood, includes two parcels totaling 130 acres, and a 56,000-square-foot main house. BUYER: Jenka Acquisitions LLC/Tobias Kleitman via TVPEAT Inc. BUYER: Beverly A. and Theodore A. Catino, Jr.
Editor’s note: This story was a collaboration with the Aspen Business Journal, which published the story on Monday, January 7, 2013.